The ARC is our living room and sanctuary. 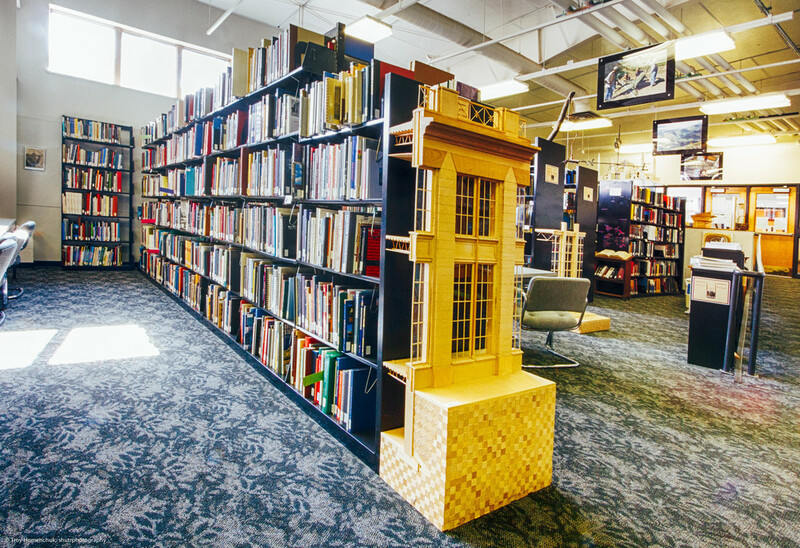 A branch of James White Library, it provides the School of Architecture & Interior Design with resources for study and research of architecture. It also supports other campus disciplines such as facility planning, educational and church architecture, environmental psychology, behavioral science, and the social sciences. The collection is of a broad scope with an academic focus in architecture and design. The ARC currently holds a collection of over 25,000 books and 106 periodical titles. The ARC stays current through its acquisitions by continually updating the collection with new titles in books, monographs, periodicals, reference books, CDs, and videos. The ARC is the official repository of a special and growing collection of materials on environmental design research. This collection is accessible online at Andrews University digital commons. This collection is made available as a result of our affiliation with the international group known as the Environmental Design Research Association (EDRA). The purpose of this collection is to advance the art and science of environmental design, to improve understanding of the interrelationships between people and the built environment and to create environments responsive to human needs. The interdisciplinary collection holds books, trade journals, EDRA proceedings, documents, technical papers, and multimedia materials supporting research in the discipline of environment and behavior. The collection has been developed over the past 30 years and will continue to expand, existing as the most comprehensive compilation in the world. The ARC is fortunate to have two rare book collections. One was donated by Ronald Senseman, FAIA, an architect who practiced in his own firm for over 30 years in Washington, D.C. area. This exceptional collection comprises classical rare books and photographs of architecture dating back from the 19th century to the present. Vernon Watson, a Chicago Prairie Style Architect, donated his valuable and rare book collection. Mr. Watson designed Griggs Hall, which was the original campus library, as well as several Prairie Style homes in Berrien County. The ARC director and staff welcome all architecture students and invite you to make the ARC your exclusive place for study. The valuable collected works at the ARC will enhance your research and education while at Andrews University. Orientation for the ARC is provided by request at the beginning of each school year for new and freshman students. The James White Library, the main University Library, has holdings that presently exceed 1.2 million items. It aims at three levels of service: everyday needs, current awareness needs and access to exhaustive, in-depth resources that are not on-site. Service programs provide access to library resources at other libraries. For more information contact the James White Library.